Over the years, the attorneys at San Diego DUI Attorney have provided exceptional DUI and criminal defense services to our clients. Our attorneys have successfully navigated complex criminal cases and have established an exemplary track record. We are well respected in the courtroom by judges, prosecutors, and other legal professionals in San Diego, North County San Diego, and all of the surrounding areas. Our dedication to upholding ethical standards and integrity in our practice has earned us the respect of our peers as well as our clients. We pride ourselves in working side-by-side with our clients and their families every step of the way. Please contact our firm immediately if anyone that you know has been arrested. If you have been charged with a crime, we offer a confidential and free consultation to help you understand all of your options and to ensure that your rights are protected. Calling our criminal defense attorneys immediately will ensure that you obtain counsel on how to avoid self-incriminating statements, which can compromise your case. We will also assess the specific circumstances of your situation, including the criminal charges you are facing, and provide you with professional advice on your options for the most effective defense. Our attorneys will utilize any necessary and available tools to best support your case, including private investigation, witness interviews, and thorough analysis of all facts and evidence. *You Only Have a Few Days to Request a DMV Hearing Before Automatic Suspension. Having the right attorney representing you is one of the most important decisions you will have to make when you are facing criminal charges in San Diego county. This is because whoever you choose, will be in your corner throughout the entire process, making objections to evidence on your behalf, negotiating with the prosecutor, and ultimately advocating for a favorable verdict in front of a judge and jury. We encourage potential clients to ask our attorneys the tough questions; in a time of overwhelming emotion, the attorneys at San Diego DUI Attorney take pride in being able to provide the comfort of knowing you have hired the right firm to represent your interests. We encourage you to ask your attorney how long they have been an attorney, how many cases like yours they have tried before, and how many jury trials they have conducted. We are not interested in being hired because we say we’re good, the attorneys at San Diego DUI Attorney want to be hired because they are truly the best in the business. We encourage you to engage in online research about your attorney. The tough questions are frequently not asked in initial consultations, we look forward to those inquiries. WE ARE CLIENT TRUSTED AND TRIAL TESTED. The arrest and/or detainment were illegal. There was insufficient evidence to support the charge. There was a lack of probable cause to make a traffic stop. Evidence related to administration was mishandled (blood tests and breathalyzer procedure). There is evidence of a violation of the presentation of Miranda rights. The arrestee was able to pass field sobriety tests. These defenses may be applicable to your case. Contact our law firm if you have been charged with a DUI in San Diego County and one of our experienced attorneys will evaluate your case and determine which defense will be most compelling in fighting your charges. 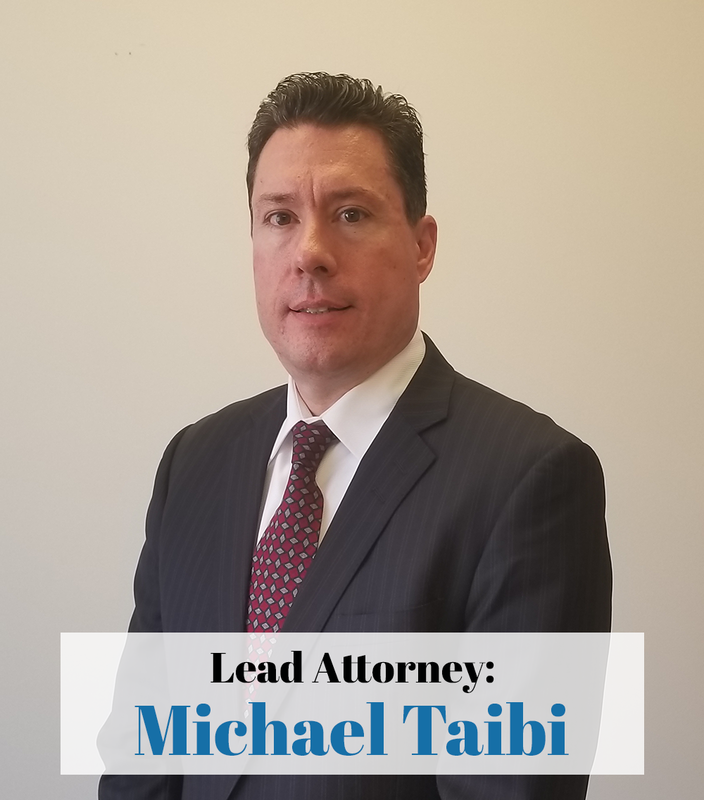 It is important to remember that an effective defense is time sensitive so it is imperative that you contact an attorney immediately after your arrest. The intake process at San Diego DUI Attorney is unlike the process at other firms. After you have been arrested, everything feels like a whirlwind, and it can be truly overwhelming to navigate the legal system on your own. Having an attorney from San Diego DUI Attorney not only means you will have competent representation, but also means you will have a skilled and dedicated attorney in your corner, fighting for your rights. When you come to San Diego DUI Attorney, you will be greeted by our skilled support staff to conduct what is called “an initial consultation.” This is your chance to meet the staff who will spend every moment fighting for you until we obtain the best result possible. This is also an opportunity for us to meet you and put a name to a face, to learn your story and what this means to you, and to evaluate your case and identify what kind of exposure you may be facing. A criminal charge against you is unique to you. It will affect you differently than the next person based on what’s going on in your life at the time. An unfavorable outcome to a case could have far reaching effects including school applications, security clearances, background checks, possession of firearms, and even professional licenses. It is a critical part of the intake process to get to learn about the person who is being charged, so your San Diego DUI Attorney staff can identify what in undesirable, and gather all the important information to present to the Attorney. This is why San Diego DUI Attorney prioritizes the opportunity to personally meet our clients, offer them a free consultation, so we can develop a theory of defense that will result in the most beneficial outcome to your case possible. During the initial consultation, our staff will gather important information and present your case to the attorney to determine if the attorney can accept your case. After your consultation, the San Diego DUI Attorney will provide clients with a step-by-step guide of what we would like them to do as the case proceeds through the legal system. In the state of California, a DUI charge can lead to jail time, the suspension of driving privileges, costly penalties and court fees. Even for a first time offender, a DUI misdemeanor charge can result in the suspension of driving privileges for at least six months, up to six months of jail time, and fines and fees as high as $4500. Court-mandated mandated drug and/or alcohol classes lasting three to nine months are also likely. For individuals with prior DUI offenses, the penalties are greater. At San Diego DUI Attorney we take the time to get to know our clients. We do all the work on your case; and we truly care about the outcome of your case. Our business model reflects our decision to strive to provide the highest caliber service to our clients, to treat them well, and to assuage and deal with their real fears and concerns. We handle each case with a one-on-one approach. The only people working on your case are the attorneys listed on the “meet our team” page. Take some time to read about and become acquainted with the skilled, dedicated, team that makes up the San Diego DUI Attorney now! The support staff, and attorneys at San Diego DUI Attorney do not simply pretend to care about you and your case. As opposed to many other firms, where your call will not be taken outside of regular business hours; you can call any time of day and your attorney will keep you informed of the process. We take pride in our ability to put our client’s minds at ease that we are always working to provide our clients the best possible outcome. Our confidence in the fact that our level of service and dedication are unique allows us to say this with the utmost confidence: if you can and are able to discover a firm with proven results who is available 24/7, hire them. We are confident that another firm of the same caliber as San Diego DUI Attorney does not exist. San Diego DUI Attorney has become what it is because it was built on a foundation of success, vigor, and integrity. Over the past years, our attorneys have represented a wide range of clients, and against a vast number of criminal charges. Our attorney has represented clients in matters ranging from small misdemeanor offenses to serious felonies, including murder cases. Our attorneys have appeared as counsel on cases involving just one defendant, and have appeared as counsel on cases involving complex issues and several criminal defendants, our attorneys strive to provide high caliber representation in criminal matters of clients. We do our best to adhere to our bedrock principles; integrity, dedication, and vigor. We approach each, and every, case with professionalism; we will be respectful, but we will not waiver in the face of pressure. We will advocate vigorously, but we will never take a position that is contrary to our clients’ best interests. Our integrity, and commitment to justice, is one of the many reasons we have earned the respect of clients and the legal community. A frequent error made by other law firms, is that they miss the big picture about what a “good” criminal defense firm looks like. It is undeniable that professionalism is a major part of success, they don’t want to agitate the Prosecutor, or hassle the judge. Unfortunately, many firms value “professionalism” over the vigorous representation of their clients’ interests. This could be caused by many things, but the end result is that the attorneys who value professionalism over zealous defense are frequently ineffective. Since the prosecutor, or judge, is aware that these attorneys are unlikely to fight back against unfavorable outcomes, those attorneys can be pushed around; why would the prosecutor negotiate fairly when they know someone won’t fight back against unfair terms. At San Diego DUI Attorney, we’re not afraid to fight back when the prosecutor is trying to drive an unfair bargain; most prosecutors have already learned not to mistake our professionalism for weakness – we are in court to protect your rights and freedom. Over the years in practice we have been honing our craft and perfecting our understanding of the criminal process. Our firm but assertive approach to the criminal process has resulted in outstanding success. When arrested for drunk driving, clients often have many questions. Is there jail time involved? Do I need a criminal defense attorney? How much will this cost? What is an arraignment? Can a DUI charge be overcome? Will I lose my license? How do I handle the DMV? Knowing your rights and acquiring a qualified attorney will help provide answers and peace of mind before a court hearing occurs. Our website and blog contain further information on a variety of topics associated with DUI charges. Additionally, the following information provides a foundation to help you get started. Please feel free to contact San Diego DUI Attorney for a free consultation so that we may thoroughly discuss the details of your case as soon as possible. An arraignment is the initial court appearance following a DUI charge and arrest. At this hearing, the charges will be brought forth and a plea will need to be entered. You can make a plea of guilty, not guilty, or no contest. Additionally, you have the right to challenge the charge brought against you. To do this, you must plead not guilty and the court will schedule a trial. Without an attorney, the arraignment hearing can be a confusing, frustrating, and complicated process. A DUI attorney will assist you throughout this entire process, ensuring that you understand your rights, and that those rights are always being protected. If you would like to dispute the suspension of your license, either you, or your attorney, need to call the DMV Driver’s Safety Office within 10 days of your arrest. If you do not request the hearing within 10 days, you waive the right to dispute the suspension. This also applies for individuals with an out-of-state driver’s license; in which case, the suspension will go into effect in the state from which the license was issued. An experienced DUI attorney will assist you through the DMV hearing process and fight for a positive outcome. Assisting in the avoidance of the loss of your California driving privileges. During an arrest for driving under the influence (DUI), the police officer will likely confiscate your driver’s license, provide you a temporary license, and issue a notice of suspension. The temporary license is valid for 30 days from the date that it was issued. After those 30 days, the license suspension goes into effect. We can intervene for you and prevent your suspension from going into effect after the 30 days until your case is resolved, or you have a DMV hearing which always occurs after the 30 days. The length of the suspension depends on the severity of the charge and is typically from 30 days to a year. Refusing a chemical test after arrest can result in a license suspension of one year. If you have prior DUI convictions, two to ten years can be added to the license suspension. It’s important to note that suspensions issued by the Department of Motor Vehicles (DMV) may apply even if the DUI charges are dismissed or reduced to another charge. However, you do have the ability to dispute the suspension of your license if you request an administrative DMV hearing within 10 days of your arrest. One of our attorneys can attend the hearing with you to walk you through the process and provide the best opportunity to retain your driving privileges. In defending your DUI case, we aggressively seek out every possible defense strategy. We realize that there are in excess of 50 causes of BAC and breathalyzer tests being inaccurate, that arresting officers often fall into legal missteps or violate the rights of arrestees, and that every piece of evidence presented against you can be challenged. We possess high-tech computer software capable of analyzing your metabolic processes to build a defense. No stone is left unturned, and we tenaciously pursue your interests by every means possible. A prosecuting attorney may attempt to convince you that the case against you is indisputable, but that is often very misleading and incorrect. Our attorneys can examine the specifics of each case and assist in finding the most effective defense against your DUI charge. The attorneys at San Diego DUI Attorney are experienced and dedicated to representing you as effectively as possible. It is easy for a law firm to promise excellent customer service. At San Diego DUI Attorney, exceptional service is a promise we strive to keep. We have DMV-dedicated staff that can assist you 24/7/365, and our lawyers will take the time to explain to you your options in an upfront and courteous manner. Call San Diego DUI Attorney today for a free DUI consultation at 619-535-7150. The highly skilled defense attorneys at San Diego DUI Attorney have been providing clients with exceptional criminal defense services, including many DUI cases. We have a proven record of successful outcomes that outdistances our competition, including high profile and complex cases. Over the years, our legal expertise in California DUI law and criminal defense has shown commitment to the highest of ethical standards and the personalized attention we give each of our clients. Please feel free to contact us for a free DUI consultation or representation for other criminal cases.